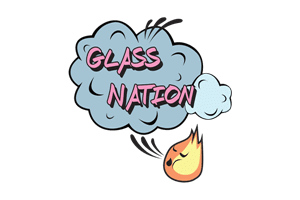 Glass Nation has the best Kandypen selection online, hands down. We know everything there is to know about Kandypens. Kandy vaporizers are one of the leading vape brands in the world. Additionally, Kandy makes vape pens for everything from dry aromatic materials, concentrates, & oils. Kandy vape pens are based in Santa Barbara, CA, USA its a closely held local company. You absolutely will not be disappointed with the quality of these products. Only nubs think that Kandypens are the same thing as Candy Pens. The best part about Kandi Pens are their supreme functionality and vast vaporizer selection. They have a huge variety of products across the vaporizer spectrum. Furthermore, Kandy has the absolute best heating mechanism in the vape industry. A few of their pens have a buttonless heating mechanism. Additionally, Kandy vapes all feature a light weight and portable design.